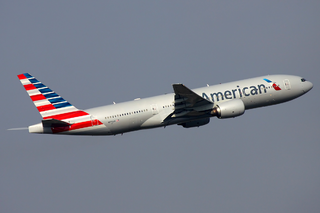 An American Airlines Boeing 777-223/ER. Photo courtesy of Sergey Kustov. Less than two weeks ago American Airlines rolled out, with great amounts of publicity, new uniforms for its employees. But the excitement is fading fast, as the world’s largest air-carrier fields complaints from over 400 flight attendants complaining that the new wardrobe is causing hives, itching, and headaches. The new design is the first for the many in the company in decades, and the problems are not being taken lightly. The first explanation has been that some of the complaints stem from wool allergies, and the company is giving those sensitive to wool the option to choose polyester fabric. However, there seems to be problems even aside from the issue of wool. Employees wearing purely cotton pieces of the uniform are also complaining of distressing symptoms. American Airlines had the uniforms tested by Intertek, a London-based product testing firm. In addition, the union that represents AA flight attendants, the Association of Professional Flight Attendants, have also taken the step of sending the uniforms for additional testing. Some other flight attendants complained that the cotton blouses were made of a cotton fabric too sheer to be considered professional, and the company made adjustments. The new uniforms have been in the development and production stage for three years. The updated uniforms were meant to show the company newly energized in the wake of the merger of US Airways and American. The uniforms were manufactured in a number of different countries such as Sri Lanka, China, Vietnam, Bangladesh and Indonesia. They are made of wool blends, polyester for men’s shirts, and 100 percent cotton for women’s blouses. Until the health problems associated with the uniforms is straightened out, AA management has requested that flight attendants with health issues caused by the uniforms fill out injury on duty paperwork. No time off has been given in response to the issue.